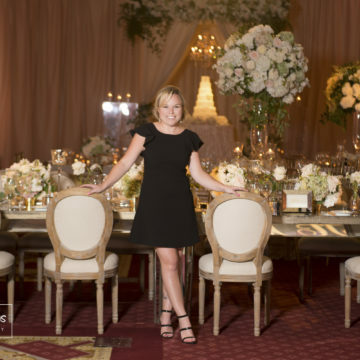 In the Behind the Veil and Behind the Scenes series, we get to know the creative, hardworking, and talented individuals behind Dallas weddings. 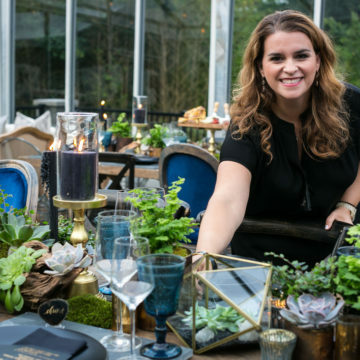 Wedding planner Jess Wegner dishes on her love for family, online shopping, and Kate Middleton. T-shirt You’ll never believe it. Old Navy “Luxe” Tees are my absolute favorite! Shoes you wear on the job Anything as long as it has my amazing Alice Bows inserts! Kate Middleton wears these as well to stay comfortable in her heels! Where do you shop? Always online! Shopbop, Revolve and Tuckernuck are bookmarked. Online shopping site I’m not sure what I did before Amazon Prime. Workouts Does chasing a toddler count? Guilty pleasure @CommentsbyCelebs on Instagram. You’re welcome. Who cuts your hair? Micaela Soto! Look her up @MicaelaSotoMUAH! Dream dinner party guests So many! Kate Middleton and Prince William, Ellen DeGeneres and Portia, Blake Lively and Ryan Reynolds… oh and Warren Buffet and Tom Brady for my husband because that’s only fair. Go-to dinner party recipe I’m a Texas girl; you’re getting steak. Oh, and a fantastic charcuterie board. Who or what inspires you? Girl Bosses who work really hard and treat others really well. Photography or coffee table book Both, and lots of each! What’s your inner age? I think the same as my “outer” age? Favorite blog TheStyleScribe.com by Merritt Beck. I feel like I have my own personal stylist and she produces so. much. content. Favorite podcasts I listen to more audio books. Post-wedding ritual Texting my team into the wee hours about every detailed we loved! Advice for brides Try to send a thank you note on the same day you receive the gift. It will make it so much easier than trying to send 200 all at once! Read more Behind the Veils and Behind the Scenes here.